The Scotland midfielder contacted the Easter Road club earlier this week to ask if he could use their training facilities in East Lothian. Manager Pat Fenlon agreed to the 28-year-old free agent's request. However, Fenlon says it's "highly unlikely" Thomson will formally re-join the club. 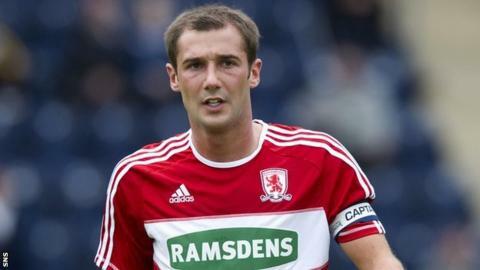 Thomson moved to Ibrox in 2007 for £2m on a four-and-half-year deal and won two titles before moving to Teesside. However, he broke his leg within a month of switching to the Riverside in July 2010 and made 56 appearances in a spell marked by calf and hamstring problems.